As the name implies, search and destroy missions were designed to locate and eliminate enemy forces. That didn’t work so well when half a platoon of American infantry located a well-rested North Vietnamese Army battalion fresh out of Cambodia. That’s what happened on July 3, 1966, to Raymond Lee McGarvey near Pleiku in the Central Highlands of Vietnam. First thing in the morning, his platoon was split in two. Half of them went west toward Cambodia, the other half in another direction. The half that went west stumbled upon an empty enemy base camp. They checked it out, and determined that it was for a battalion-size unit. They decided to get out of there fast, but before they could get very far, they ran into an ambush. Far outnumbered, they were the ones who were destroyed. Out of the 22 who had started out that morning, 15 lay dead and another four seriously wounded. For his service, PFC McGarvey was awarded the Combat Infantryman Badge, the Bronze Star with V, the Purple Heart, the National Defense Service Medal, the Vietnam Service Medal, the Vietnam Campaign Medal and the Vietnam Cross of Gallantry with Palm Unit Citation. 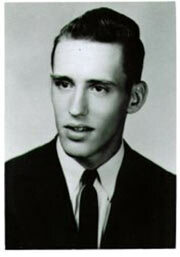 Raymond was born in Clearfield County and moved to Transfer in 1964 with his parents, Mr. Mrs. Walter E. McGarvey. He worked at the Greenville Steel Car Company before entering the Army.